Home Clean Home is the leading hoarders cleaning service in New York specializing in professional heavy house cleaning services. With nearly two decades of experience with long term managed care recipients and other city agencies, our teams are well-versed on the wishes and needs of our customers. We arrive in an unmarked car to protect our clients privacy and have a special method of removing rubbish so that our job is discreet. 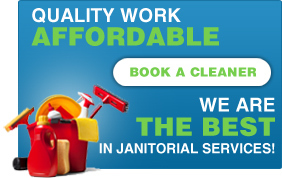 Our principle is that heavy duty house cleaning services require a comprehensive treatment. This principle has leaded us to pioneer our 7-step comprehensive solution for hoarders that have cured thousands. Professional heavy duty cleaning services are conducted by hoarding specialists that have a wealth of knowledge and experience in home heavy cleaning and junk removal. Our professional organizers are available to work regular hours, nights or weekends to accommodate any schedule. These clutter cleaners do more than just cleaning; they build shelves, storage units, and box and bring items to a nearby storage facility. Which other heavy duty cleaning companies do you know that offer such services for hoarders? Probably none. The garbage removal process is done in a specialized method to protect the privacy of our clients. For junk removal, we can provide a garbage removal container that is discreet. When we bag garbage, we leave the bags by the door and make one trip to the collection point. Our means of transporting rubbish to the collection point is done by either: placing junk in rubbish containers, a dumpster, in the building, or in our unmarked truck, depending on the needs of our clients. You do not need to call a garbage removal company or any waste services, we do it all. Our cure for hoarders is having a routine cleaner that they develop a relationship with while decluttering the house. The same person will be coming on an ongoing basis for housekeeping services. We consult one on one with our customer to determine their goals and to hear their wishes and can also work with social workers before heavy cleaning services begin. 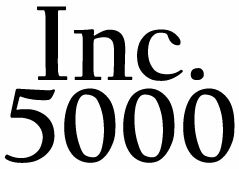 We are experienced with all kinds of hoarding conditions and offered our cure for hoarding to thousands. We tailor a special program based on the individual client to determine which heavy duty home cleaning services are most suitable. We have developed methods to help all kinds of hoarding conditions and offer more than merely heavy cleaning services but rather help for hoarders. For mail hoarders, we will bring a paper shredder to ensure that all bills are properly disposed of and will not fall into the wrong hands. We work together with animal hoarders and pet adoption facilities to help with pet removal processes. Therefore, we are different from all other heavy house cleaning services. Clutter removal in the home will help with clutter clearing in the mind. 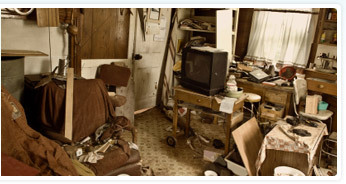 Hoarding is a mental condition which is labeled in the medical field as disposophobia, or fear of disposal. We do not judge our clients and treat each case sensitively and with the utmost care. If you are seeking a reliable and professional hoarder cleaning service, you have found your match. No other heavy duty cleaning companies offer the treatment, care, and hoarders services like Home Clean Home. Please call 718-627-5781 or send us your inquiry to find out more about our Heavy Duty Cleaning services. or Fill out our online form If you are calling about Passover cleaning, ask for Nechama.